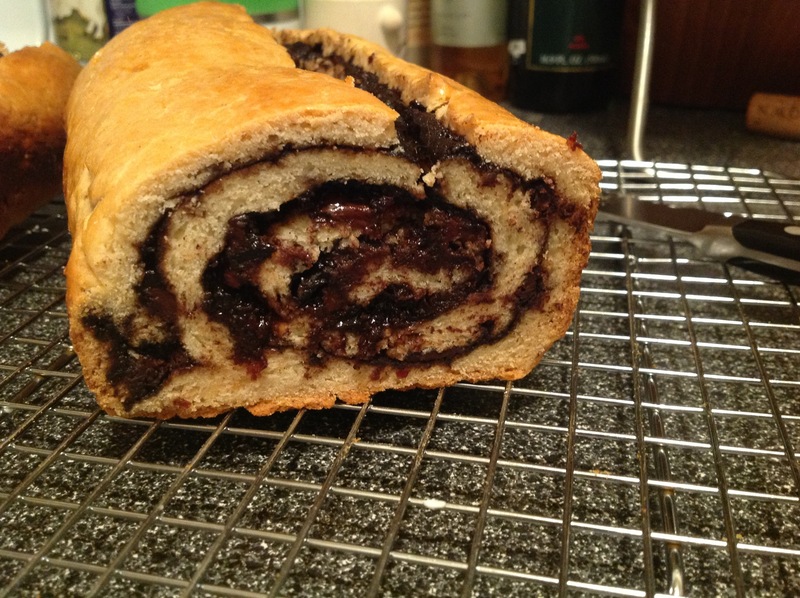 Of course, I couldn’t have it immediately because babka takes about 6 hours to make. 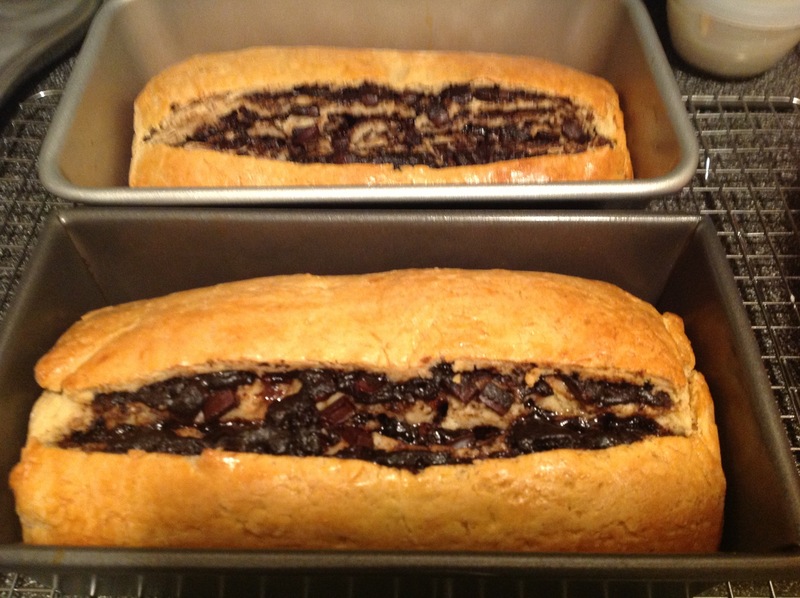 I pulled out an old copy of a wheat based babka recipe and commenced to converting it to a gluten free one. I decided to use dried cherries instead of the more traditional nuts and i think, next time, i’d like to use a bundt pan and make a babka ring. 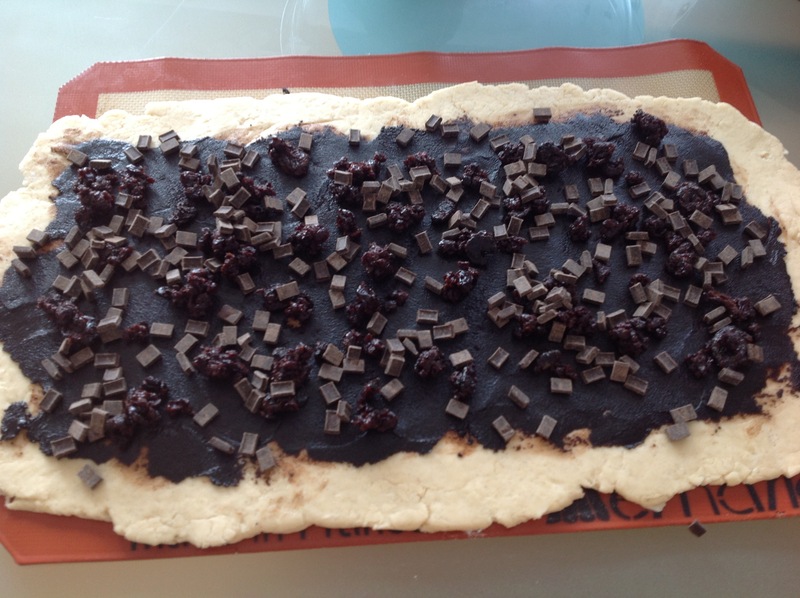 1) Combine all of the dough ingredients, until everything is just moistened. Cover the bowl, and let the dough rest for 20 minutes (this will allow the flour to absorb the liquid and the yeast to start proofing). Then mix/knead dough until soft and smooth. 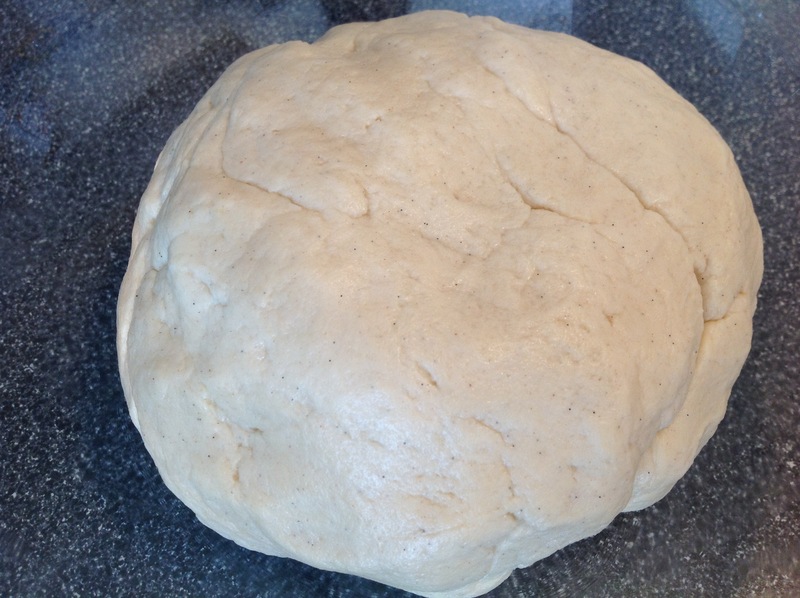 2) Let the dough rise until doubled, 1 to 1 ½ hours. 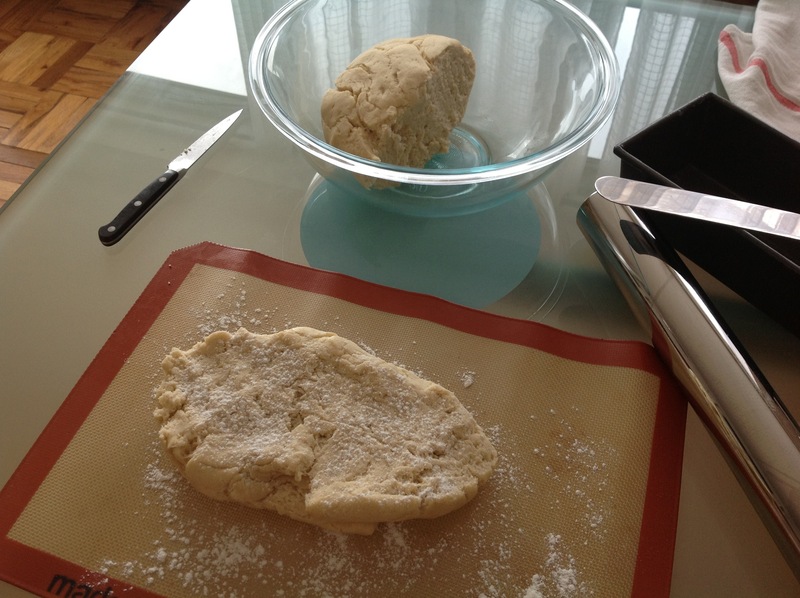 3) Handling the dough gently, divide it in half. Set the pieces aside, covered, while you make the filling. 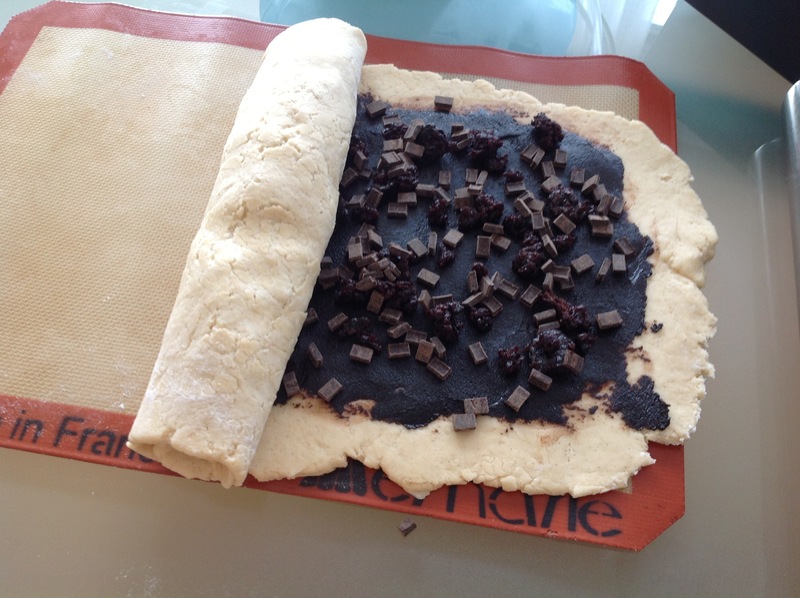 4) To make the filling: Combine the sugar, cinnamon, cocoa, and espresso. Stir in the melted butter. The mixture will look grainy and oily; that’s fine. 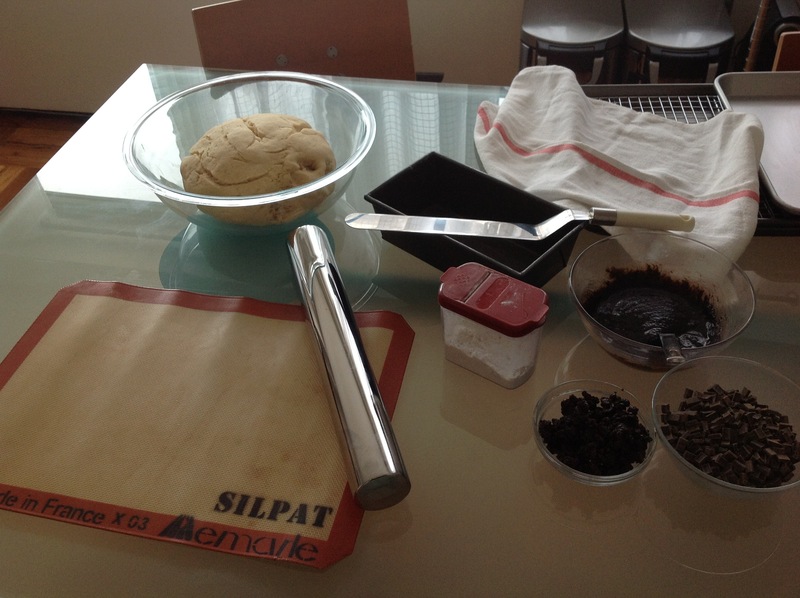 5) Shape each half of the dough into a 9″ x 18″, ¼”-thick rectangle. 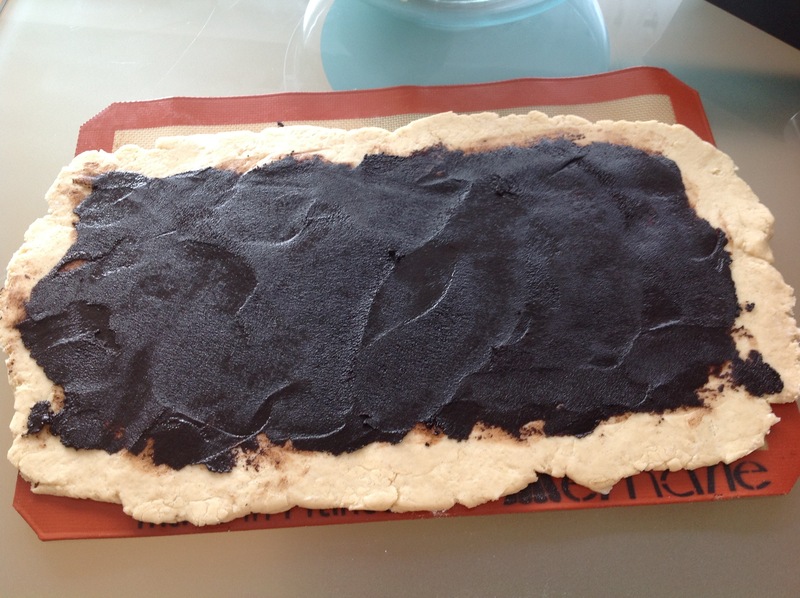 6) Smear each rectangle of the dough with half the filling, coming to within an inch of the edges. 7) Evenly scatter half the chips and cherries over each piece. 8) Starting with a short end, roll each piece gently into a log, sealing the seam and ends. 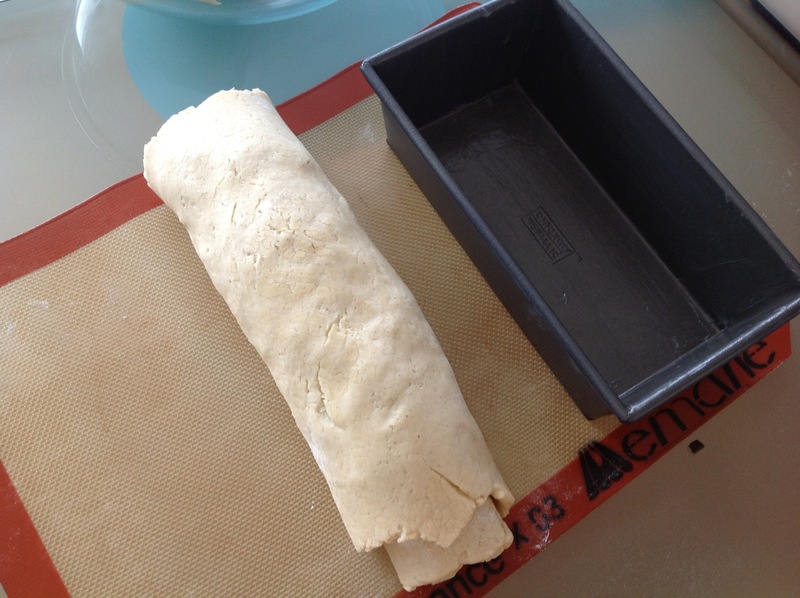 Fold the ends under enough to make the loaf fit in the pan. 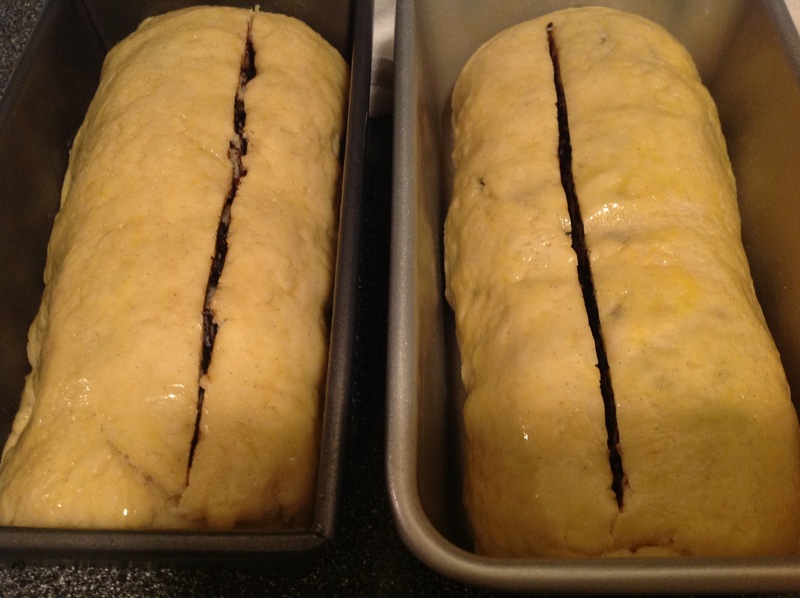 Place each log of dough into a lightly greased 9″ x 5″ loaf pan. 9) Cover each pan with a towel or plastic wrap, and let the loaves rise till they’re puffy. The loaves will probably not rise above the rim of the pan, 2 to 2 1/2 hours. Towards the end of the rising time, preheat the oven to 300°F. 10) Just before baking, brush each loaf with the egg glaze. Then, cut a deep vertical slash the length of each loaf, cutting through at least 3 layers. 11) Bake the bread for 35 minutes. 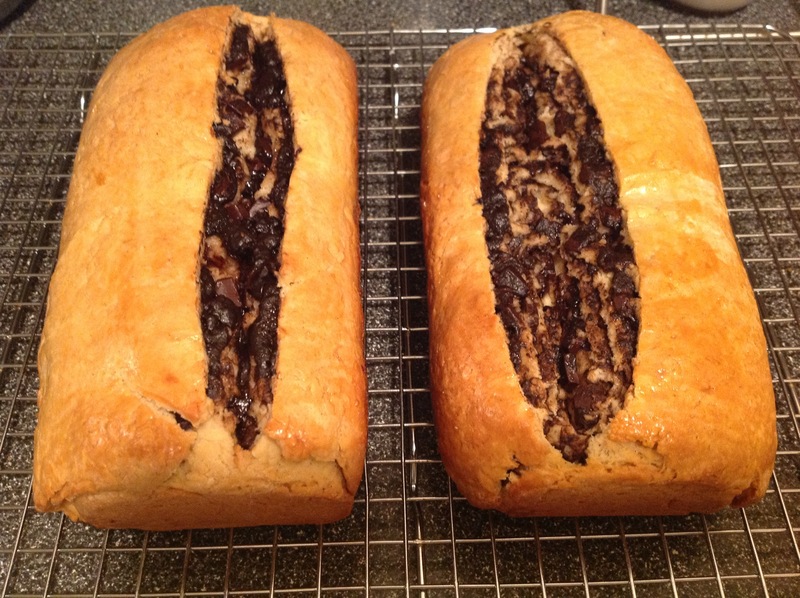 Tent lightly with foil, and bake for an additional 15 to 25 minutes (for a total of 50 to 60 minutes); the loaves should be a deep-golden brown. 12) To ensure the loaves are baked through, insert an instant-read thermometer into the center of each loaf. It should register at least 190°F. 13) Remove the loaves from the oven, and immediately loosen the edges with a heatproof spatula or table knife. Let the loaves cool for 10 minutes, then turn them out of the pans onto a rack to cool completely. Wow, what a great idea! I am awaiting a shipment of Cup4Cup. Can’t decide what to make first, but it’ll be one of your recipes. This looks so good. Martha, I’m excited to see what you choose to bake first!